Paul Beadle, who was director of the Elam School of Art in Auckland in the 1960s and 1970s, specialised in often humorous small-scale sculptures, but was also a highly accomplished medallist. He created this medal to commemorate the 1974 Commonwealth Games held in Christchurch. 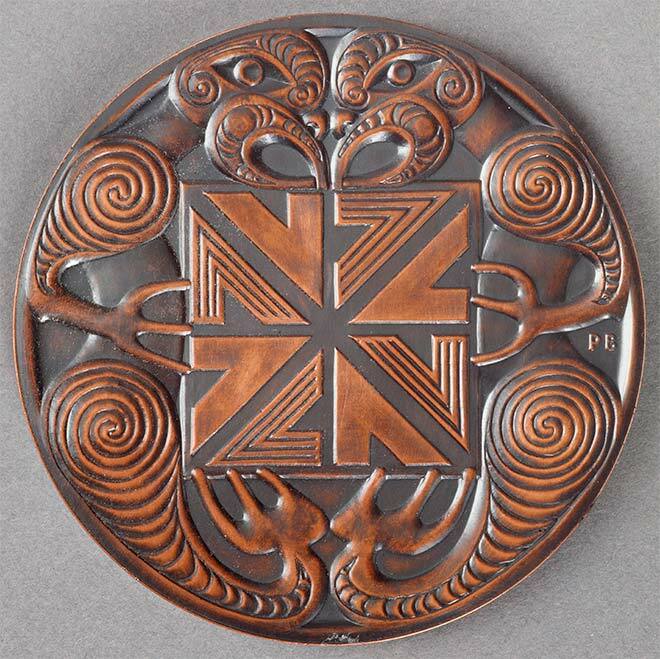 The games symbol is surrounded by Māori motifs in a design that is simple but striking.